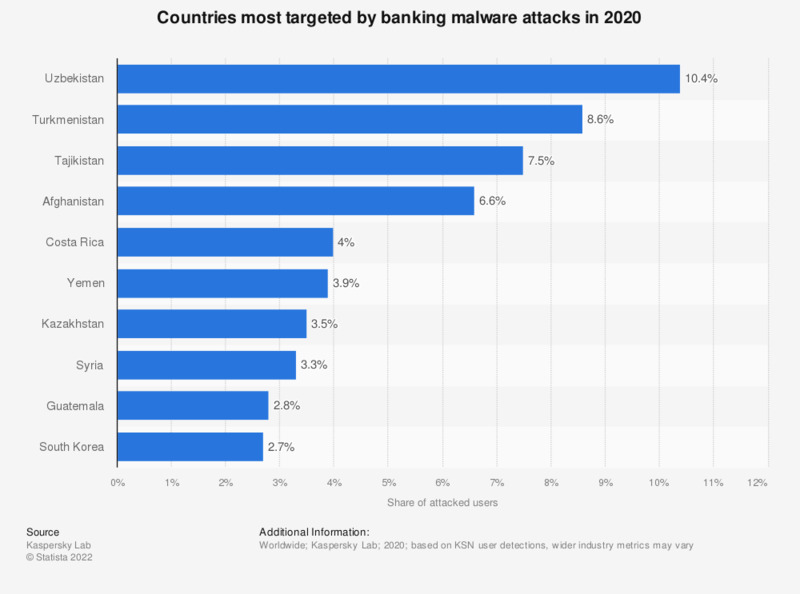 This statistic shows a ranking of the countries most targeted by banking malware attacks from November 2017 to October 2018. During the measured period, four percent of users in Germany were attacked by banking malware. Unique users attacked by banking malware in the country as a percentage of all users of Kaspersky Lab’s products in that country. How often do Argenta customers use online banking? How often do ASN Bank customers use online banking? How often do Aegon customers use online banking? Have you ever fallen victim to a computer virus?